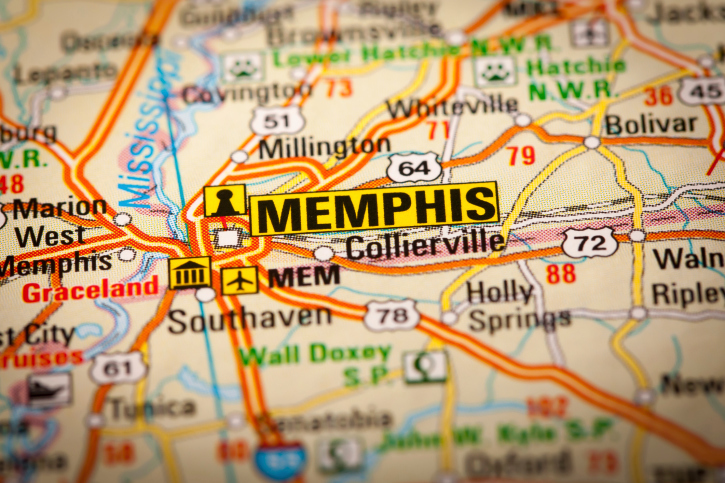 Memphis may be the home of the blues, but its housing market enjoyed more than a little green. The Tennessee city was crowned as the best market for investing in single-family rental (SFR) properties while California’s pricey housing markets were dubbed the worst, according to new data from the Irvine, Calif.-based HomeUnion. Based on cap rates, HomeUnion identified the top 10 SFR investment markets as Memphis (with a 7.3 percent cap rate), followed by Oklahoma City (6.9 percent), Pittsburgh (6.4 percent), Cincinnati (6.4 percent), Houston (6.1 percent), Indianapolis (six percent) and a four-way tie between Cleveland, Baltimore, Milwaukee and Tampa at 5.9 percent each. Based on cap rates, the least attractive SFR investment markets were San Francisco and San Jose (tied at 2.7 percent), Orange County (three percent), Los Angeles (3.2 percent), a three-way tie between New York, Seattle and Oakland (each at 3.5 percent), San Diego and Sacramento (tied at 3.6 percent) and Portland (3.9 percent).